CHUCHU NY will present its newest collection Evolve at The Set NYC Fashion Week FW 2019. The event will be held on Friday 15th February 2019. The milliner brand’s fall/winter 2019 collection focuses around the cycle of life and its intersection with geometry. Using minimalist and organic shapes; color is introduced to represent the different stages of existence, where white stands for initiation, red at its peak then ceasing with black. The simple yet beautiful structured pieces exude a contemporary style where neutral and sculptured transparent shapes are perfectly highlighted with delineated colors of bright intensity. Delicate, flexible, and fine materials are transformed into infinite uncomplicated forms. CHUCHU NY is known for its unique handcrafted pieces of surreal and futuristic motifs that are not merely headpiece but art to adorn and compliment personalities. Its ethereal adornments of exquisite attracting forms are created using ancient techniques of folding in combination with fine craftsmanship of material like paper, plastic, felt, and leather. As a seasonal satellite show to New York Fashion Week, the event is organized by The Set NYC a platform created by Pim Shih to help artists come together, showcase their work, and develop connections. 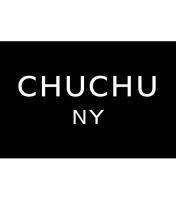 CHUCHU NY is a New York-based millinery design brand created in 2011 by Hongkonger Penny Chu. Inspired by geometry and patterns of modern architecture and art, CHUCHU NY creates majestic pieces combining the infinite structure of the Mobius and ancient folding and handcrafting techniques. Chu trained as a milliner at the Fashion Institute of Technology. She has participated in New York Fashion Week and has presented her work in shows in London. CHUCHU NY has been featured in countless editorial projects and magazines including Imirage, Elegant, Scopio Jin, 7Hues, Ellements, Feroce, Solis, YOUNG, Fave, Pump, Astaund, Lucy’s, Disorder, Brides, Sauvage, among others.